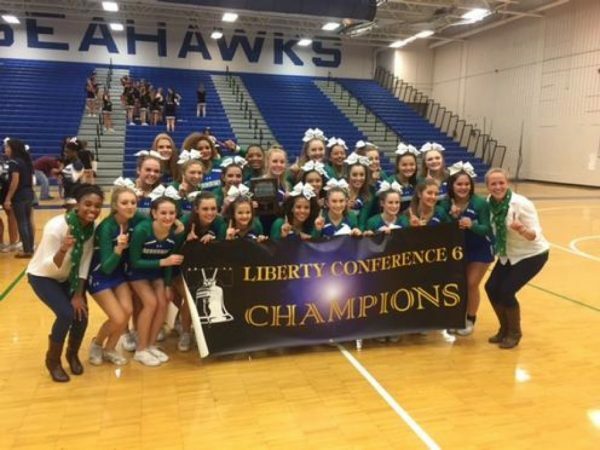 Kudos, SLHS Cheerleaders — The South Lakes High School cheerleaders won the Liberty Conference title last week and finished second at the Regional Semifinals the weekend of Oct. 22. They will move on to compete at the Region Finals on Oct. 29 at Fairfax High School. If they finish in the top four, the will qualify for the state championships on Nov. 5 in Richmond.